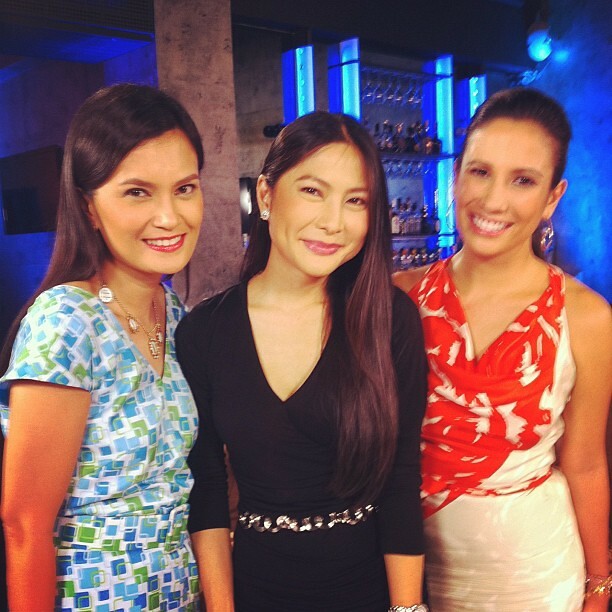 We had two (well, with me it’s three) of the Alpha Girls as guests in our talkshow — Karen Jimeno and Stephanie Zubiri. 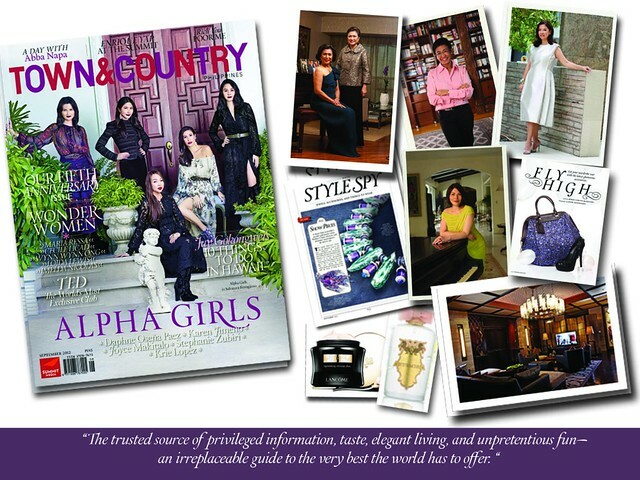 Alpha Girls is the theme of September issue of Town & Country magazine. 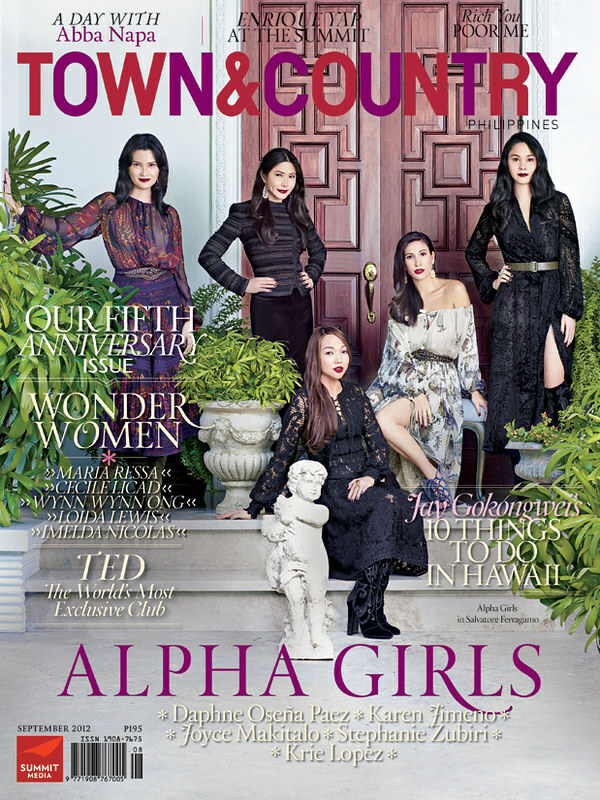 “Town & Country invites you to meet its first batch of Alpha Girls, five notably driven and empowered young women who embody youth, hard work, passion and success. 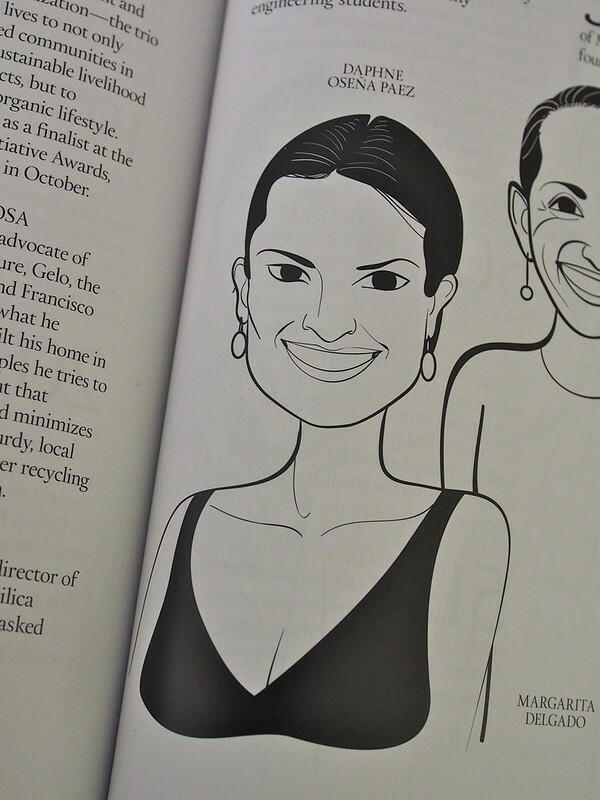 Women who dream big.” (Source, press kit). 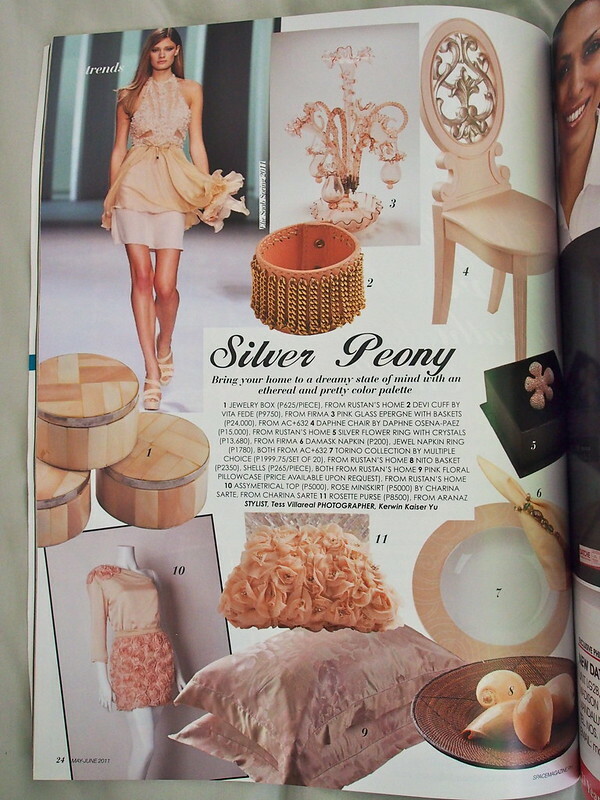 Jewellery designer Joyce Makitalo whose pieces have appeared on the pages of Vogue. Lawyer Karen Jimeno who shot to fame with her work on the defense team of the Supreme Court chief justice. 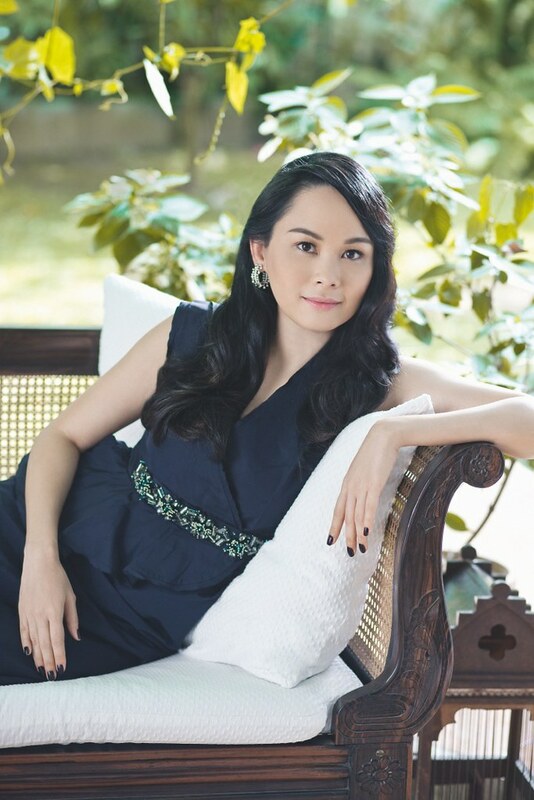 Social entrepreneur Krie Lopez who created Messy Bessy. And then there’s myself whom they call “lifestyle maven and television host”. Wish I had my hair down, LOL. 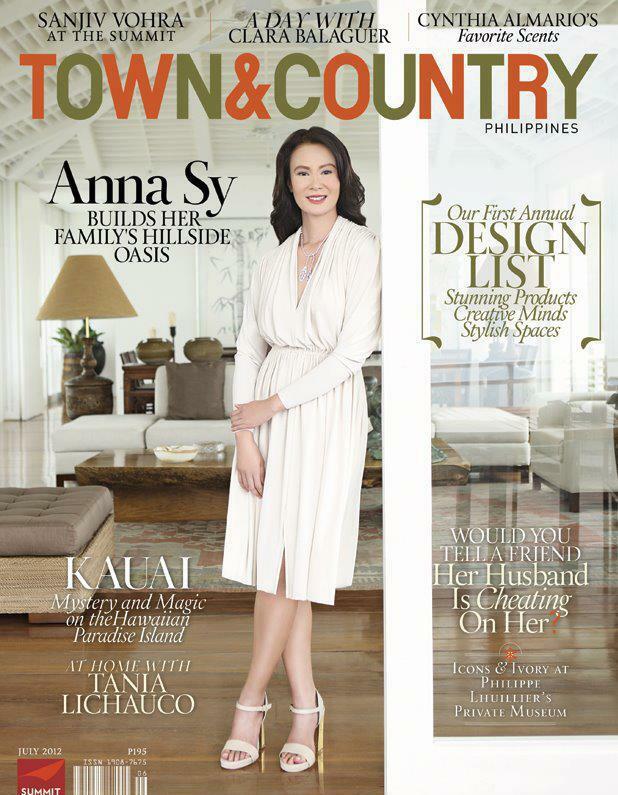 Town & Country September 2012, available at all leading bookstores and magazine stands nationwide. 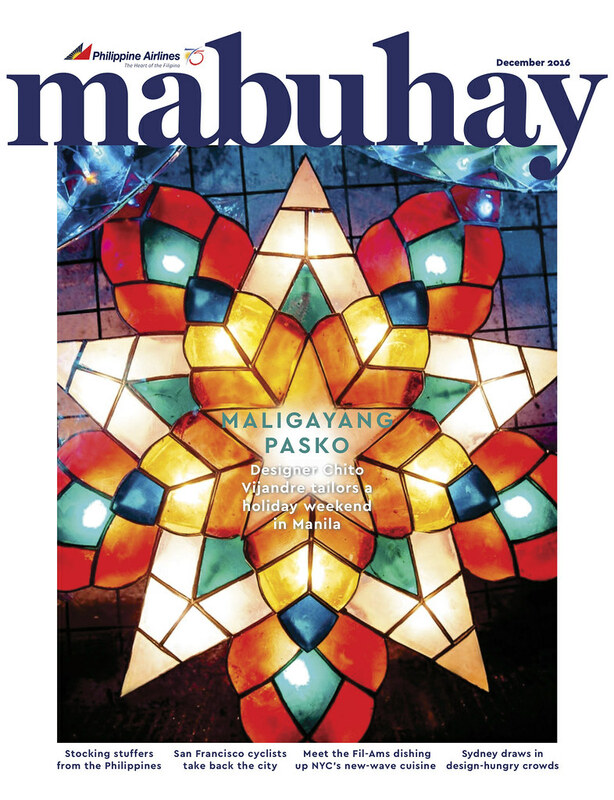 For foreign readers, you can download through Zinio. Town & Country September cover! It’s their first time to do a series on Alpha Girls — a totally new angle for me. Haha. 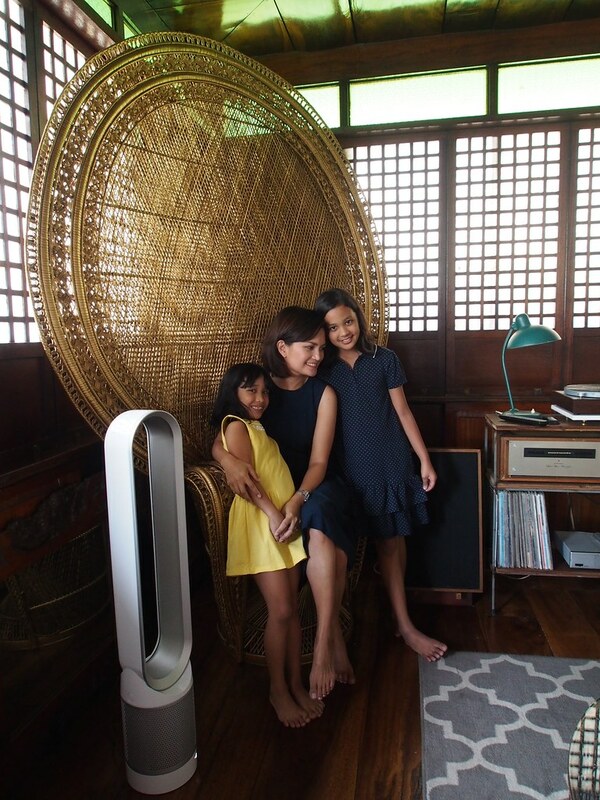 I am sincerely touched and honoured to be recognized for the things I simply love doing – my Daphne® products, my blog and just being with my family. This year didn’t start out so well with the end of UZ on TV. But my super duper adviser (aka. husband) told me that maybe it’s really time to go “beyond TV”. At the rate things are happening, I think he’s right. It’s been a crazy year of new products, new endorsements and new business relationships through my site. 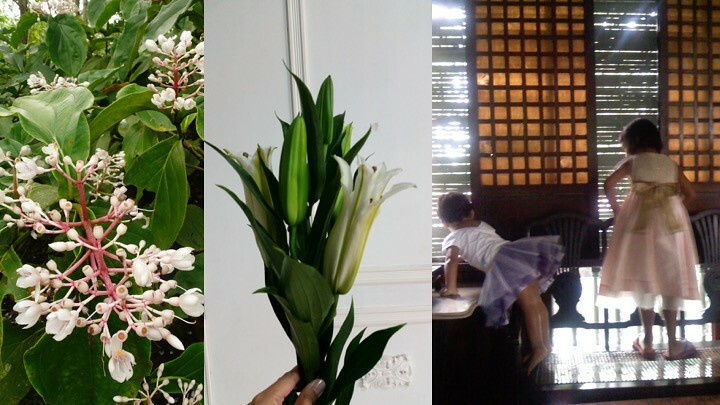 All these when I purposely decided to slow down and just do what I love doing. And now Town & Country recognizing the lifestyle brand as a real thing. Amazed! Thank you T&C. The issue is packed with lots of inspiring stories, as usual. I especially love this batch of Wonder Women. “SOMETHING IN SEPTEMBER Apart from launching the Alpha Girls, our 5th anniversary special also highlights our 3rd annual Wonder Women feature, where we celebrate women who have already reached the pinnacles of success in their chosen fields. 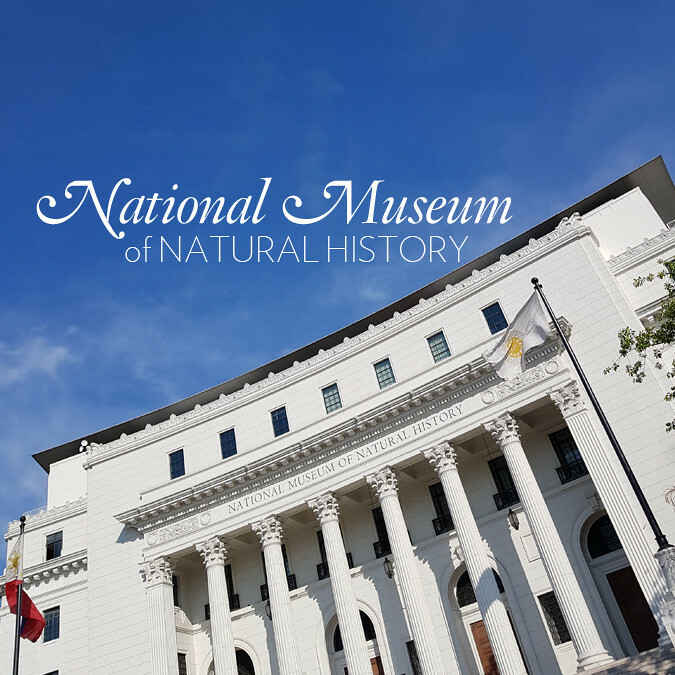 This time, know the stories of Cecille Licad, Maria Ressa, Wynn Wynn Ong, and Loida and Mely Nicolas through the eyes of those closest to them. 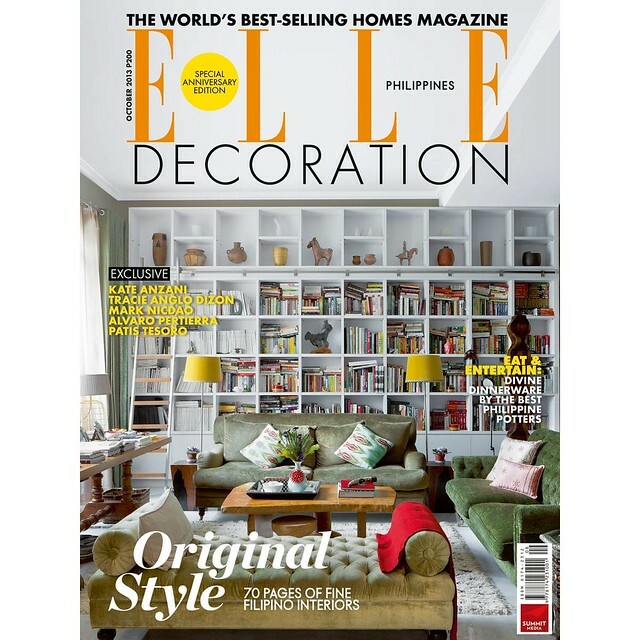 As we know that true luxury goes beyond indulgence, this edition curates a mix of reads that show the many reasons why life is indeed beautiful! 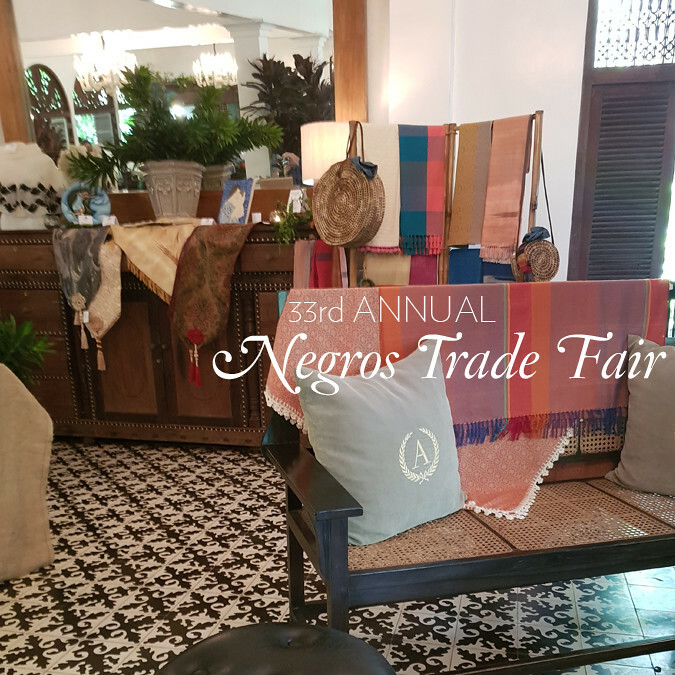 We take you, along with the world’s richest and brightest, to the exclusive TED Conference in California; to Federico de Vera’s thriving stores in the Big Apple; to the best places in Hawaii with Jay Gokongwei as your guide; among many other destinations. If you live overseas, you can simply get this issue of Town & Country thru Zinio.com and on iPad. Now about being Alpha female… Haha! Lots of crazy definitions on the internet. What’s yours? 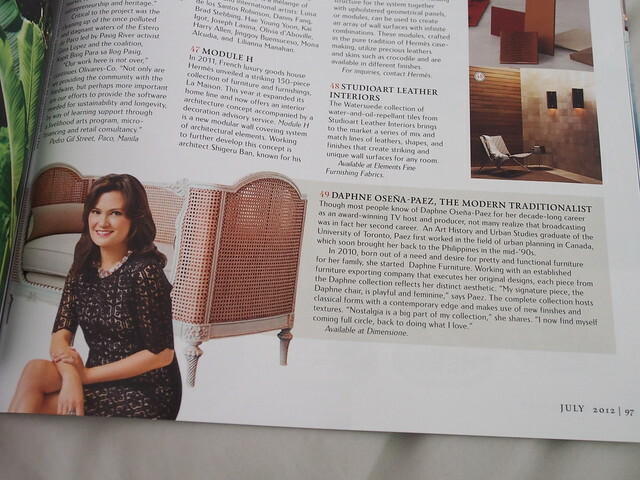 Thank you so much Town & Country Philippines. I’ve been meaning to post this since the Design List last month then I got overtaken by events only to find out I made to a second list this month. I hope Summit Publishing doesn’t mind that I’m sharing some photos of the pages here. Really floored that I’m even in your radar. Thank you!!! 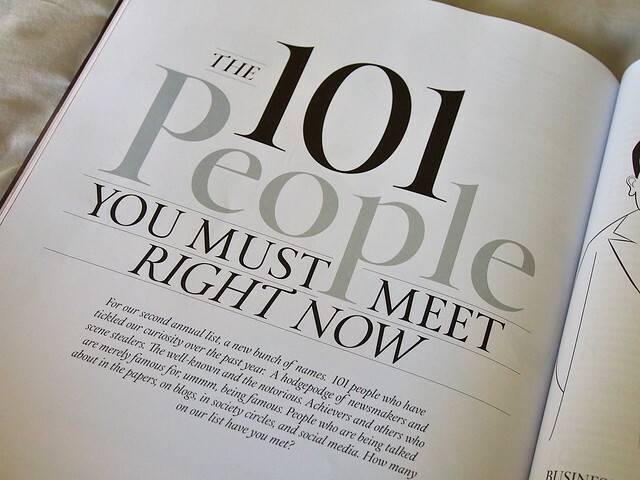 This year’s list of 101 People You Must Meet Right Now. 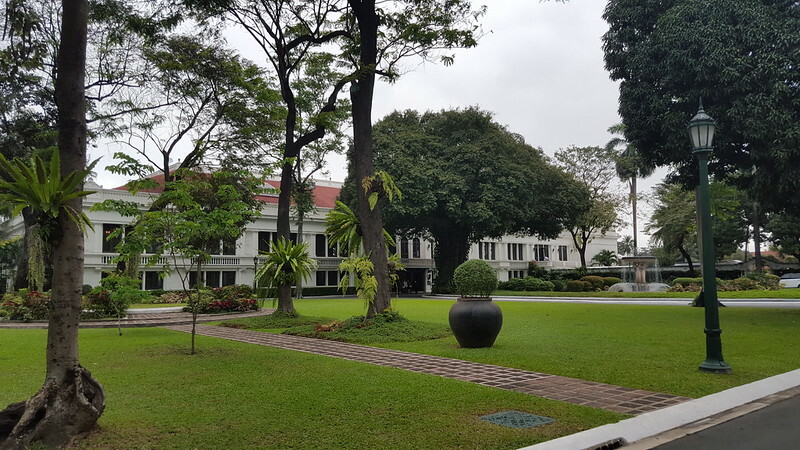 The list included business leaders Ramon Ang, Tessie Sy, Miguel Ramos, Anton Huang, Crystalle Henares and Noey Lopez. 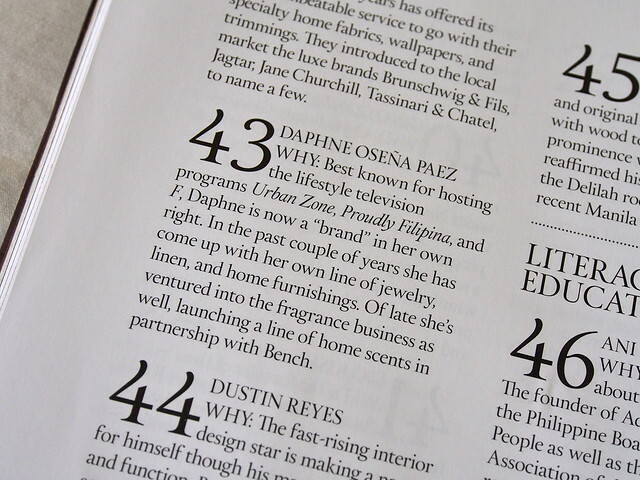 And creative geniuses Bea Valdes, Ben Chan, Josie Natori and Rajo Laurel as well as model Danica Magpantay. 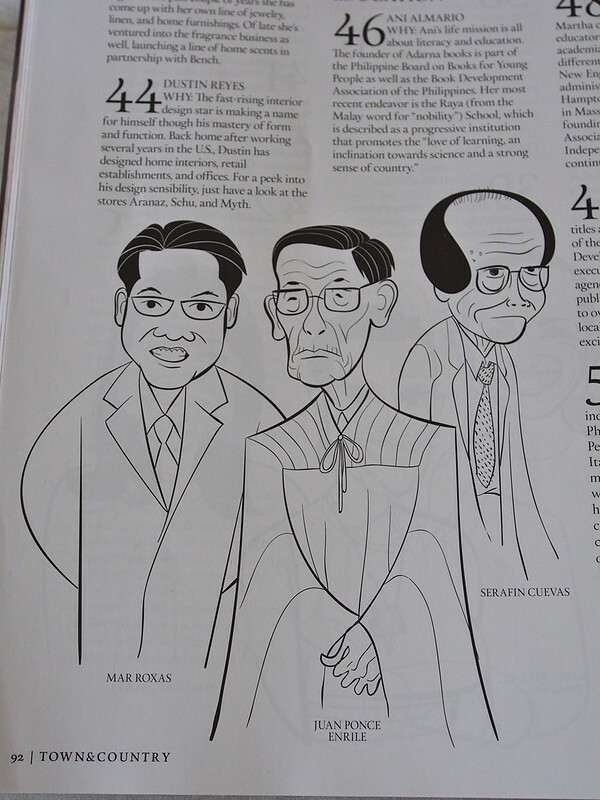 Political newsmakers Mar Roxas, Juan Ponce Enrile and Serafin Cuevas. I love these drawings. 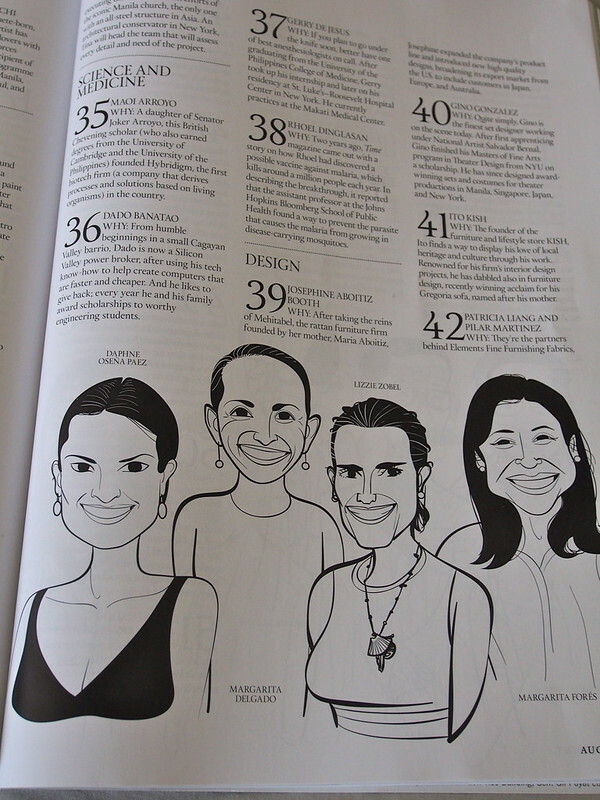 And here’s the page I’m in with social entrepreneurs Margarita Delgado, Lizzie Zobel and chef restaurateur Margarita Fores. I’m in the design category. Whee! I can’t get over my cartoon self. Haha. I look better here than I do in real life and pictures. Haha. 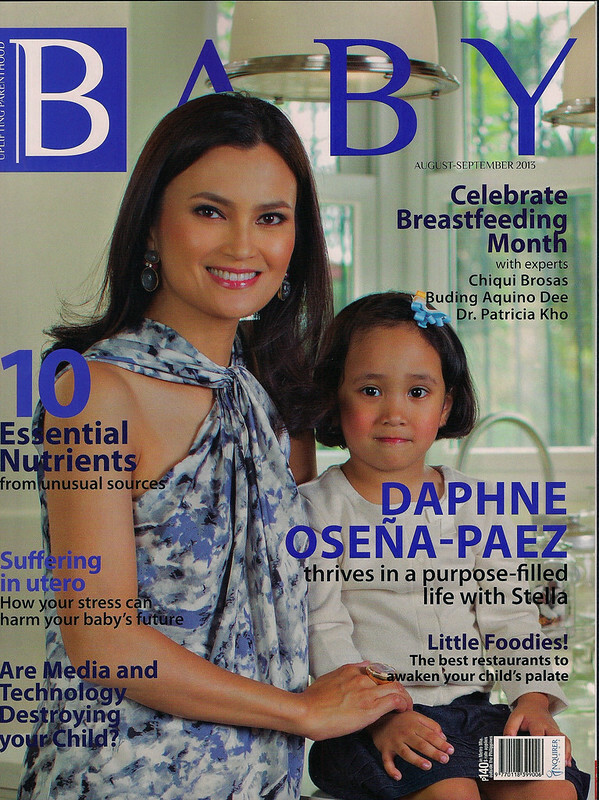 This was last month’s cover with Anna Sy (July 2011). They came up with their first annual design list. Humbled that my little creative enterprises got recognized. Now I have to work extra hard to live up to everything they wrote. Yikes. 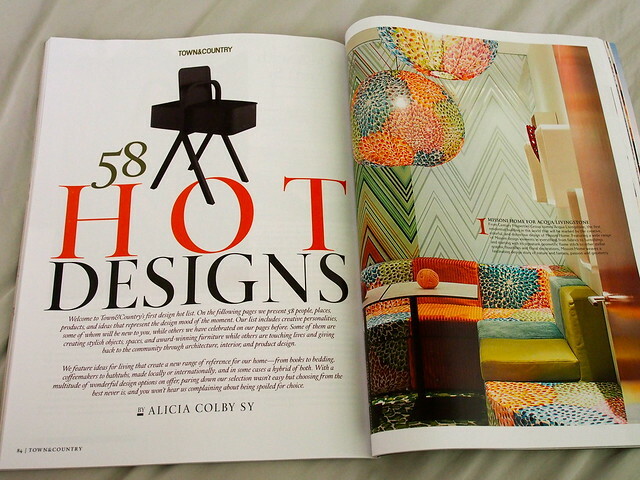 I love BC Magazine – great photos, awesome art direction, cool articles. 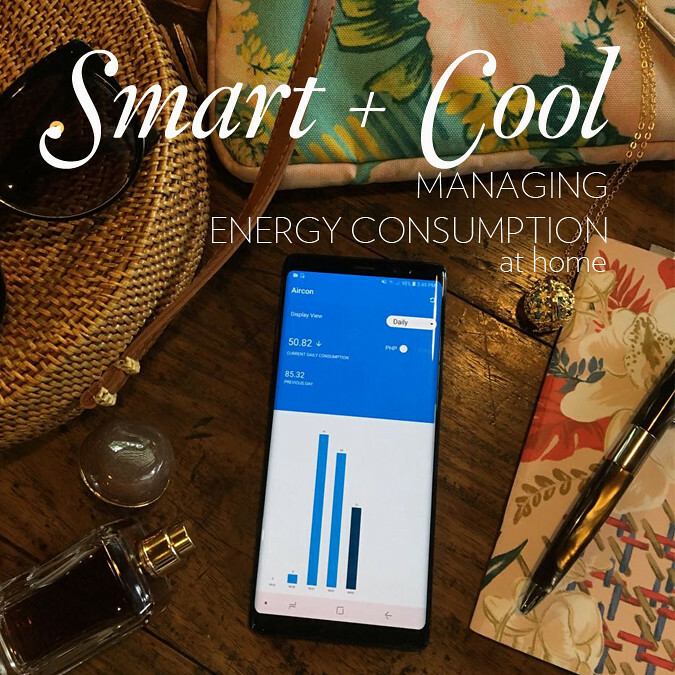 It is owned and operated by an awesome Filipino couple, Tom and Tanya Favis, who actually started the magazine in the US while they were still living in California. Check out the US version here. 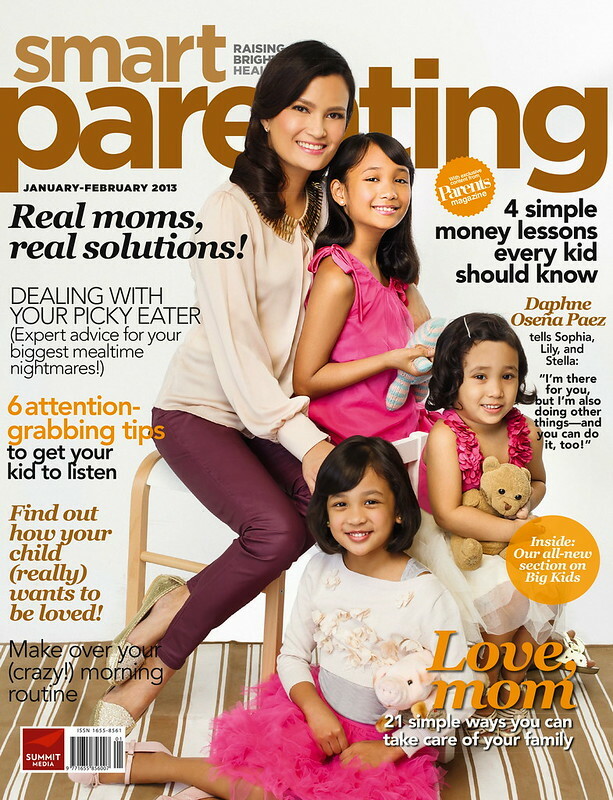 When they moved back to the Philippines, they captured the parenting market right away. 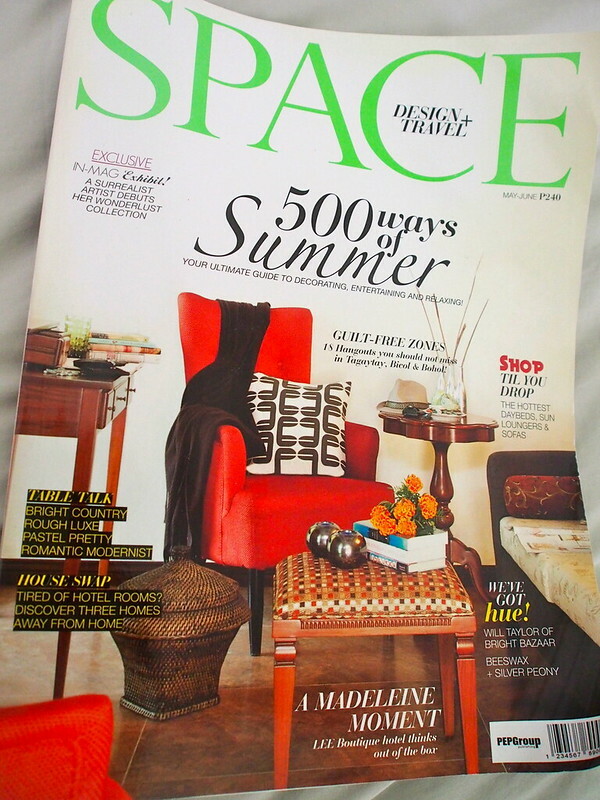 This is their first issue in the Philippines back in 2010. Amazed I was included on this list. Tom and Tanya took this photo themselves. They each had a camera so I don’t know which one shot this. Then they gave me my first epic-like cover. There were three versions to this “eat, pray, love” cover. Here’s the one with Lily. The series looked like this. 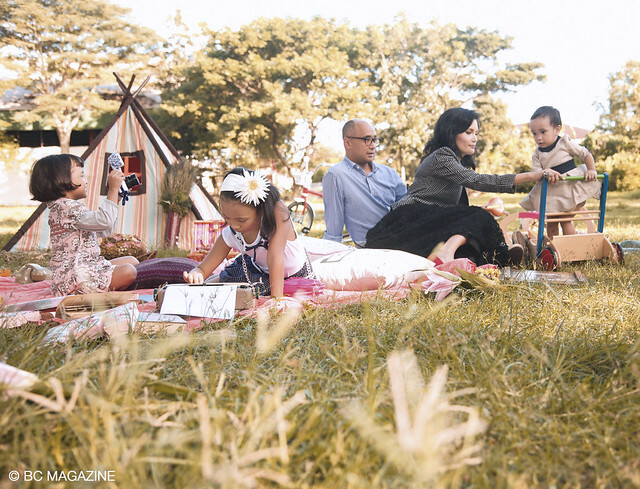 We rarely do family photos in magazines. Glad we did this. I think I want to have this framed. One of their latest issues had the theme ‘Most Beautiful Moms and Dads.’ BC had an exhibit in Mall of Asia, showing past and present issues. 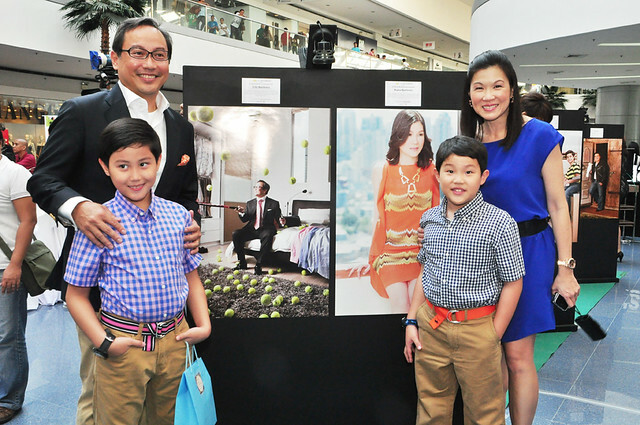 Here is Patricia and Vince Hizon. 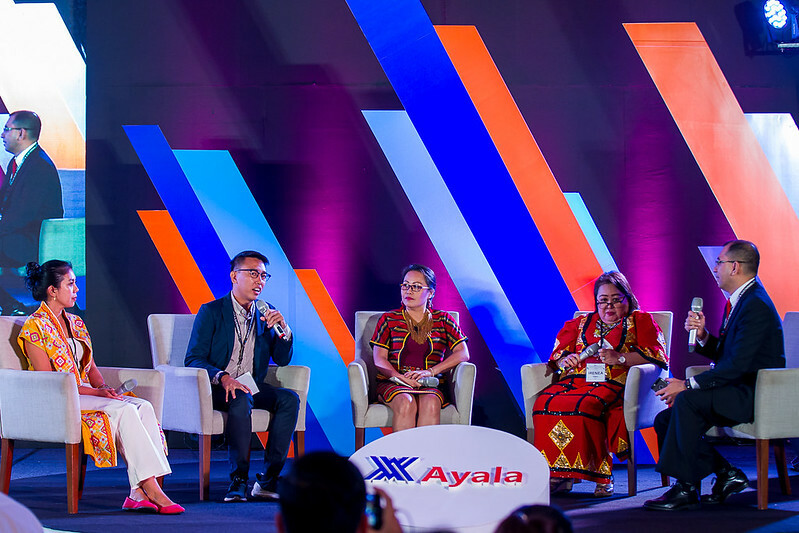 All event photos courtesy of BC Magazine Philippines. Check out their current issue here. Thanks, Space! Just saw this. It’s from last year. I love that the Daphne chair was mentioned in this collage. 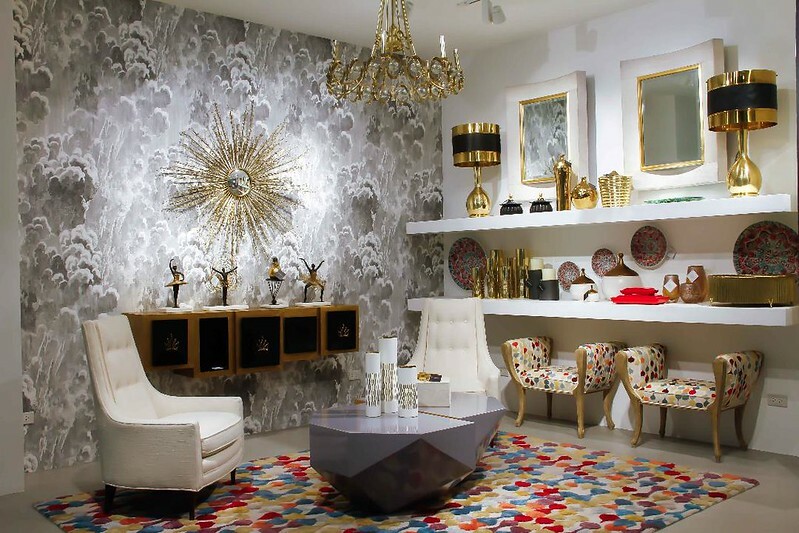 They are now exclusively available at Dimensione.